El primer SUV de lujo apareció en 1970, cuando Land Rover creó su original Range Rover. Casi medio siglo después, ese espíritu innovador sigue vivo introduciendo un cuarto miembro a la familia Range Rover, que se mostró al mundo el pasado 1 de marzo de 2017. Las señas de identidad del nuevo Range Rover Velar son: sencillez elegante, lenguaje visual minimalista y tecnología innovadora al servicio de los clientes. Gerry McGovern, director de Diseño de Land Rover, comentó: «Identificamos al Velar como el Range Rover más vanguardista. 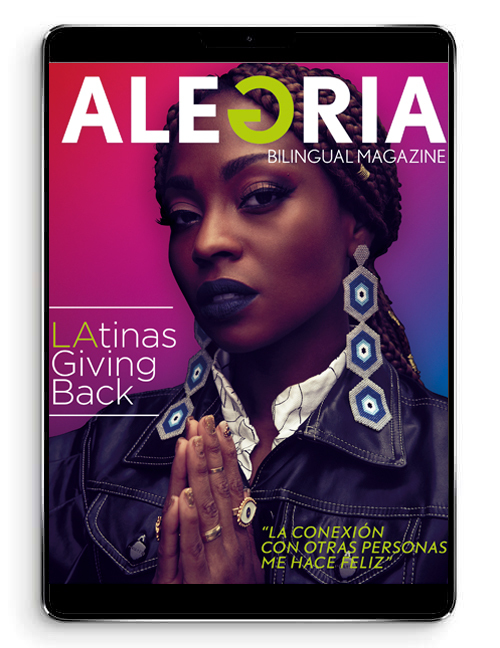 Aporta a la marca una nueva dimensión de estilo, innovación y elegancia. El nuevo Range Rover Velar lo cambia todo». En aquella época, para ocultar la verdadera identidad de los 26 modelos de preproducción del Range Rover, los ingenieros escogieron el nombre Velar, en referencia al término en latín «velare», que significa «velar» o «cubrir». El vehículo incorpora una segunda pantalla táctil en la zona inferior, donde se recogen las funciones de climatizador, audio y ajustes del vehículo. También cuenta con grandes avances tecnológicos como control de crucero adaptativo (ACC), el sistema de cámaras en 360º con ayuda al aparcamiento, reconocimiento de señales de tráfico, detección del nivel de cansancio del conductor, aviso de vehículos en el ángulo muerto, sistema de mantenimiento de carril, y frenada automática de emergencia. Otras las particularidades del nuevo Range Rover Velar son sus faros de matriz LED y los tiradores de las puertas retráctiles, que se esconden a ras de carrocería en marcha, y se despliegan para permitirnos abrir las puertas al abrir el sistema de cierre centralizado. To introduce the highly-anticipated new Range Rover Velar mid-size luxury SUV and its namesake Zenith Chronomaster El Primero Special Edition watch, Land Rover and Zenith gave an exclusive preview to select Southern California area customers at premium watch retailer Westime on Sunset Boulevard. The preview was the first showing of the Range Rover Velar in California, which looks to be one of the top global markets for the exciting new Range Rover nameplate. The new Zenith Chronomaster El Primero Range Rover Velar Special Edition watch was on display alongside the Velar, the fourth member of the Range Rover family. 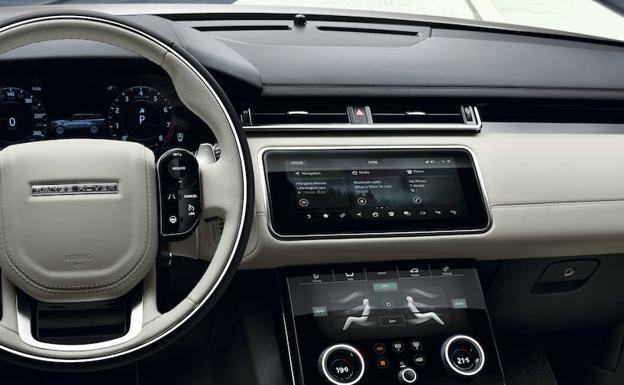 Attendees, who included VIP Zenith, Westime and Land Rover customers, were some of the first to see the Range Rover Velar ahead of its arrival at U.S. retailers this September. 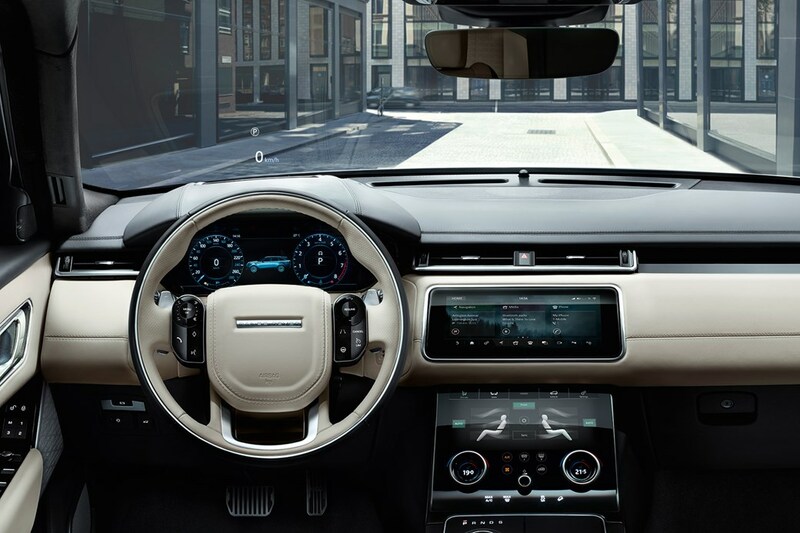 The Range Rover Velar brings unprecedented glamour, modernity and elegance to the Range Rover family and fills the white space between the Range Rover Evoque and Range Rover Sport. The Velar continues the Range Rover tradition of innovation, incorporating advanced technologies, compelling design and absolute attention to detail. Unique in the segment, the Range Rover Velar offers a sustainable, premium textile seat material as an optional alternative to leather. The woolen upholstery material was developed together with Kvadrat, one of Europe’s leading manufacturers of high-quality design textiles, and is complemented with suedecloth inserts. Designed to complement the Range Rover Velar, the Chronomaster El Primero Range Rover Velar is the second timepiece in a long-term partnership between the premium Swiss watchmaker and the British luxury SUV brand. Featuring a ceramised aluminum case of 42 mm and beating at 36,000 vibrations per hour, the new Chronomaster El Primero Range Rover Velar Special Edition introduces an appealing brushed grey dial with copper-toned details. Whether on the wrist of an intrepid explorer or an elegant gentleman, it also exudes an inimitably chic aura, enhanced by a new black rubber strap coated with black-toned perforated calfskin. This leather is the same high quality hide used on Range Rover interiors and is secured by a triple folding clasp in DLC-treated titanium. 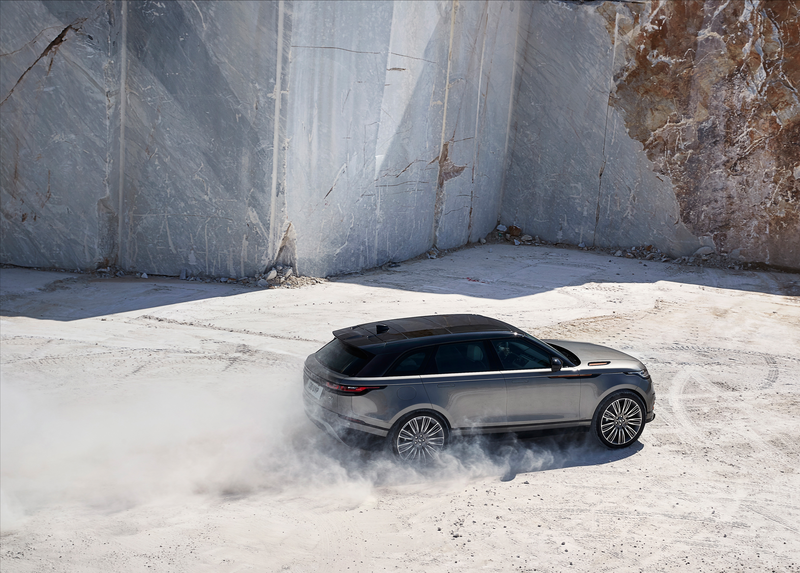 Designed and engineered at Jaguar Land Rover’s development centers in the UK, the Range Rover Velar will be produced at the company’s Solihull production facility. It goes on sale in the U.S. in September 2017, priced from $49,9001. For more information about the Range Rover Velar, visit http://media.landrover.com. For more information about the Chronomaster El Primero Range Rover Velar Special Edition watch, visit http://www.zenith-watches.com. Founded in 1948, Land Rover designs, engineers, and manufactures its vehicles in the United Kingdom. For almost 70 years the brand has built a reputation for providing its clientele with some of the most luxurious and capable vehicles in the world; whether driving through the heart of the city or traversing the countryside on- and off-road. Today’s Land Rover lineup includes the Discovery and Discovery Sport; Range Rover, Range Rover Sport, Range Rover Velar and Range Rover Evoque. Land Rover is fully engaged with sustainability initiatives and social concerns with continuous involvement in environmental and community programs. For more information, visit the official Land Rover website at www.landroverusa.com.